Contrary to alarmist columns posted on financial websites, most working Americans do have some form of a retirement account. In fact, retirement accounts make up a large chunk of the overall financial assets for many individuals. Much like other assets, retirement accounts are eligible for equitable distribution during the course of a divorce. 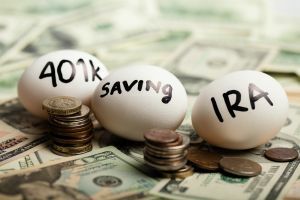 There are however a number of specific guidelines and stipulations when it comes to dividing retirement assets due to their high number of federal and tax regulations. At The Bronzino Law Firm, our retirement asset division legal team understands the process of dividing complex retirement assets. We believe in simplifying the retirement asset division process for our Ocean and Monmouth County clients from towns including Sea Girt, Asbury Park, Neptune, Brick, Wall, Point Pleasant, Toms River, Jackson, Manasquan, Brille, and the surrounding communities . Our firm does not provide one-size-fits-all legal solutions like some larger firms. Instead, we take pride in working closely with our clients to deliver uniquely tailored legal service that addresses their individual needs and concerns. Call our office today to speak with a member of our qualified legal team in a free and confidential consultation regarding your divorce and your division of retirement assets. It is important to understand that retirement assets are highly regulated by the U.S. Securites and Exchange Commission (SEC) and the IRS. For this reason, retirement assets can not simply be divided at any time. Taking distributions or withdrawals from most retirement plans carry significant tax implications and incurred penalties. To avoid these issues, your Toms River retirement plan division attorney may seek a Qualified Domestic Relations Order or QDRO. QDROs are court orders which allow retirement assets to be distributed without the usual tax implications. In other words, your retirement plan distribution during a divorce will not be considered taxable if done through a QDRO. This is significant, as early withdrawal generally carries a minimum mandatory penalty of ten percent on top of owed taxes. Although some retirement plans are after tax, they still may require a court order for division. These court orders are called Domestic Relations Orders or DROs. In these cases, there are no taxes due at the time of withdrawal, some account types such as annuities will charge heavy penalties if withdrawn early. There are several options to explore when dividing retirement assets during a divorce. However, there are two primary outcomes: either you and your spouse will use a QDRO or DRO to divide the retirement assets or you will keep the assets with a single holder and use the financial value as a consideration towards the division of other assets. Once your QDRO or DRO has been accepted, it can be written into your divorce settlement and executed when your divorce is finalized. No matter what your exact circumstances, the retirement asset division process is long and potentially complex. 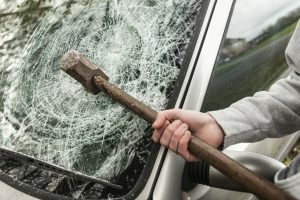 By working with an experienced attorney, you will receive the peace of mind that your financial concerns are being handled with care and attention to detail. 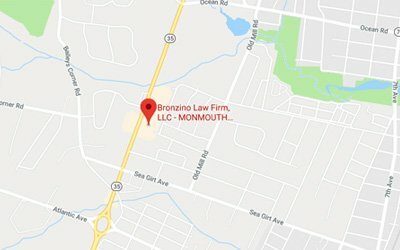 Retirement asset division divorce attorney Peter J. Bronzino, Esq. takes pride in serving clients from local Ocean and Monmouth County communities such as Wall, Spring Lake, Asbury Park, Brick, Point Pleasant, Toms River, Jackson, Sea Girt, neptune, and across Eastern New Jersey. Our small firm size allows us to provide the personalized legal service which our clients need and deserve. If you are looking for a lawyer who will take the time to listen to all of your questions and concerns when it comes to divorce and family law, look no further. 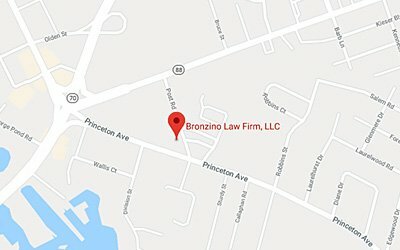 Contact us online or call our Brick office by dialing (732) 812-3102 today for a free and confidential consultation with a member of our qualified and experienced legal team regarding your divorce, the equitable distribution of your marital assets, and how we can help to divide your retirement assets.